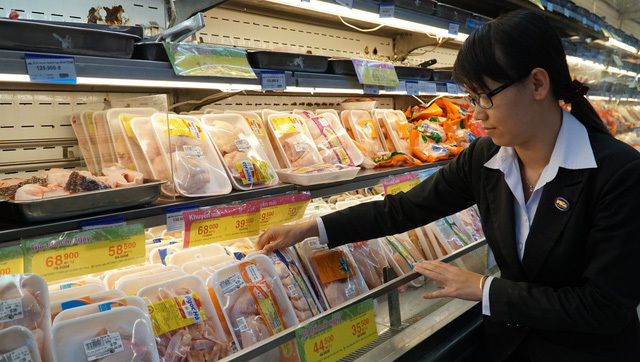 The Oxford University Clinical Research Unit (OUCRU) in Ho Chi Minh City has announced a photo contest to raise the awareness of high school students in southern Vietnam of antibiotic resistance in poultry farming. The contest, themed “Stop Your Poultry from Binge-Drinking Antibiotics,” is jointly organized by OUCRU, the Dong Thap Center for Health Information and Education, and the provincial Department of Education and Training in an effort to tackle antibiotic resistance in both animals and humans. It will be launched in the Mekong Delta province of Dong Thap on November 13. Organizers are calling on students from two rural high schools Chau Thanh 1 and Thanh Binh 1 to submit photos, drawings, and short essays on safe farming practices which help prevent bacterial infections in poultry and serve as preventative measures against the need for antibiotics. The contest is targeted at young people, chosen due to the role women, children, and teenagers play in the day-to-day care of poultry. Despite this, they are often overlooked in major efforts to educate the public on antibiotic resistance in farming. It is also held in celebration of this year’s World Antibiotic Awareness Week, according to OUCRU’s Juan Carrique-Mas, who currently serves as the Principal Investigator of ViParc, a farm-based trial in Dong Thap aiming to help farmers raise healthy chickens with a decreased dependency on antibiotics. According to the organizers, the contest stems from the reality that Vietnam’s farming sector is suffering from the widespread abuse of antibiotics in chicken and duck farming, leading to an urgent need for farmers to reduce antibiotic usage. Antibiotic resistance is the ability of bacteria to immunize itself against certain medicines, creating failures in the treatment of bacterial infections. While a complex issue with multiple causes, the overuse and misuse of antibiotics in livestock production is one of the biggest factors contributing to the issue. An OUCRU project in 2015 found that an average of 470mg of antibiotics was used per chicken on farms in Vietnam’s Mekong Delta, 5-7 times the average in Europe. Antibiotic resistance can spread from animals to humans through contact, food and environmental pathways. This problem has already had global implications, causing about 700,000 human deaths a year. A 2016 report commissioned by the UK government estimates that, without public action, annual human deaths from antibiotic resistance could reach 10 million by 2050.